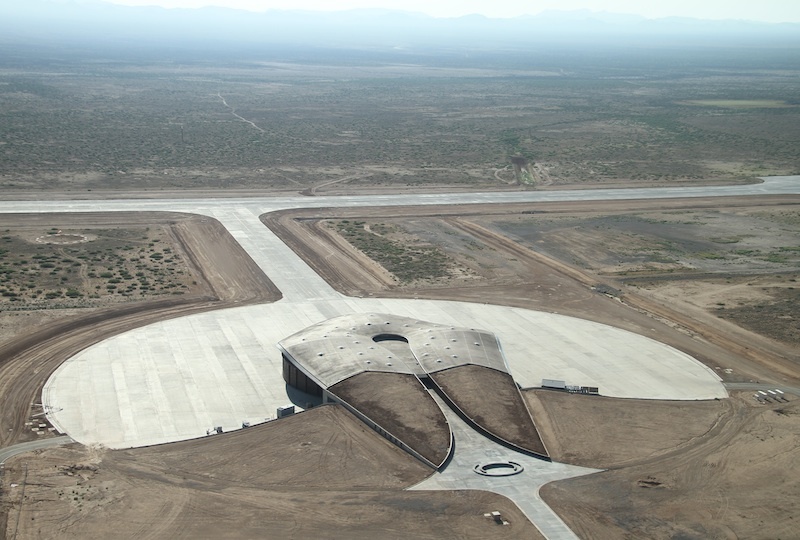 Martinez said the new law shows the state is “not only reaffirming the major commitment New Mexicans have made to Spaceport America but we now have an even stronger opportunity to grow the number of commercial space jobs at the spaceport and across our state. This legislation will prevent lawsuit abuse and make it easier for businesses related to the space travel industry to thrive and succeed right here in New Mexico.” The article notes that previously Virgin Galactic had protested its rent payments and had threatened to leave if the law was not passed. In a statement yesterday, Virgin Galactic said it was always committed to the project but now more needs to be done to bring other customers to the spaceport. This committee is charged with the responsibility of fostering productive relations between chapters and between chapters and the National Space Society at large. The committee monitors programs for and of chapters and makes recommendations on projects and programs to serve the mutual interests of NSS and its chapters. The Chapters’ Assembly will report to the NSS Board through the Chapters Committee. This committee shall be comprised of board members who volunteer their services to the committee, regional board members, and appointed members from the chapters’ community who are willing to serve in established committee posts established to conduct the business of the committee. Appointments are subject to the approval of the NSS Executive Committee. The Chair of this committee is the NSS Vice President of Chapters. The National Space Society is proud to present the Space Settlement 2008 Calendar. This amazing, 14×11-inch, full-color wall calendar features twelve original works of art illustrating humanity’s future in space. Also featured throughout the calendar are dates for major 2008 space conferences and events. Also included are key dates in space history and U.S. and major international holidays. The National Space Society undertook this project as a means of promoting awareness of the benefits to humanity of a spacefaring civilization and to make people aware that they can play a role in creating this future. Show your support for human space exploration and the National Space Society by ordering your copies of the Space Settlement 2008 Calendar today for only $14.95 each! The National Space Society receives a portion of the proceeds from the sale of this calendar. A future with space settlement is vastly better than one without it! Pete Conrad Spirit of Innovation Award Registration OpenThis is an announcement to all those who know high school aged students. The Pete Conrad Spirit of Innovation Award registration is now open. This award is for students age 13 to 18. Within the next two months, student teams must develop their own innovative concept to benefit the personal spaceflight industry in 50 year’s timeframe. Teams will compile their concept into three documents: a technical document, a business/marketing document, and a graphical representation. Finalists will be brought to the Wirefly X PRIZE Cup to display their concept to the public. Awards include $9000 in prize money, travel grants to attend the Wirefly X PRIZE Cup, inclusion on a national traveling museum exhibit, rocket trophies, and the unique opportunity to connect students directly with commercial companies in the personal spaceflight industry. Please pass on this information to anyone who may know interested students. Further details are listed on our www.xprizecup.com website under the “conrad award” section. You can also see the attached press release for more information. CopperCon 27 is Coming !!! CopperCon 27 is coming up fast – September 7-9 at the Embassy Suites North, I17 and Greenway, in Phoenix. families of the deceased as well as the injured and their families. community to give generously to support these heroes. number or to the name of the fund. women have tested themselves against the frontiers of their age. media. Now more than ever, the nation needs to hear your voices. participating NSS Chapter and the NSS as a whole. I would very much like to hear from you. by 5pm (MST) that would be great! When did you start using Second Life? How did you hear about Second Life? What are you using Second Life for? Has it helped/hindered your Chapter’s development/projects? Why is Second Life important to the NSS and its goals? Do you think that this can be used as an education outreach tool? Chapter’s/members’ Second Life reality for more information if needed. Please send pictures if available.